In traditional African societies, male children are highly valued. A party is often held for the birth of a boy. Unfortunately, the same cannot often be said for the birth of a female child. In this case, women may even be driven out of their homes for failing to have a boy. It is unfortunate that girls are not as valued in some parts of the country, nor encouraged to take charge of their own lives. This is the situation that Agnes has found herself in as the only girl in a family of three children. Her parents are day laborers who are having a tough time making ends meet. And so, when it comes to paying school fees for their children, Agnes’s brothers are given priority to her detriment, her good performance at Muruai Primary School notwithstanding. Unfortunately, this is often the case for many girls in rural Kenyan communities; since they are most likely to be married off and start a family young, it is believed that there is no point in girls seeking education. Agnes, however, is not content with this destiny, and she has fought hard to do well in school and make something of her future. She is her school’s academic secretary, and many students look up to her as an example of success already. Agnes is determined to show her family that she can contribute to their household and help them out of their impoverished situation just as well as any boy can. She hopes to become a doctor, a practice which she says will not only help her family, but many, many other people in her community. If she can do it, she will set an example that girls are just as capable as boys. Agnes says she cannot afford to let her family – or herself – down, but she can’t do this alone. She needs your financial help to enable her focus on her studies and reach her goals. 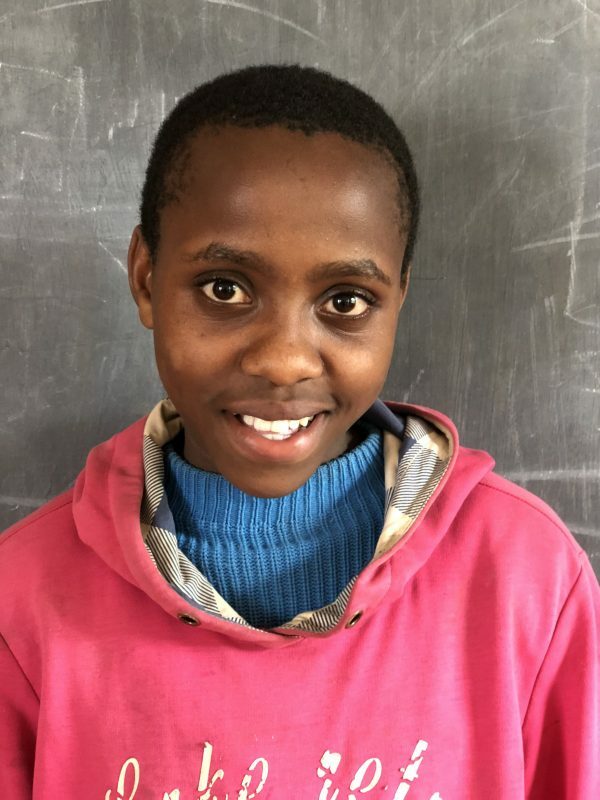 Thank you for empowering Agnes and helping her to change the course of her future with your sponsorship!